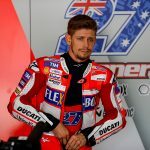 Two-time MotoGP World Champion, Casey Stoner, has completed a successful test in Sepang with Honda Racing Corporation. Casey began his test schedule at the 5.548km Sepang Circuit Ã¢â‚¬â€œ 75km to the south of Kuala Lumpur Ã¢â‚¬â€œ on Thursday mid-morning. Brief rain showers interrupted testing throughout the course of the three days, but nonetheless Casey was able to fulfil the plan set by HRC. Casey spent time on both the 2014 and 2015 RC213V machines, doing a chassis comparison and analysed new variations of the new spec brought to this test by HRC. He also tried new brakes from Brembo amongst various other testing components. The engineers also took advantage of having Casey in Sepang to run a few laps on the Suzuka 8 Hour Honda CBR1000RR in the afternoon on the final day. Ã¢â‚¬Å“Overall itÃ¢â‚¬â„¢s been a good test, very positive and we got a lot done! On the first day we worked on the base setup and tested some small things before the rain arrived and we had to stop. Then on day two I spent a lot of time doing a back-to-back chassis comparison from last yearÃ¢â‚¬â„¢s bike to this yearÃ¢â‚¬â„¢s and I also tested different variations of the chassis. Brembo brought some new aluminium callipers for us to try and Honda had several other test items which we managed to get through before the rain came once again. On the final day we confirmed some feelings from yesterday and tried a few electronic packages as well as some different suspension. Riding the CBR was very different, IÃ¢â‚¬â„¢ve never really ridden that kind of bike, the shifting, riding position, engine power, weight characteristic etc was quite difficult and took some getting used to. After a few exits I had more of an understanding and was able to give some feedback. In general it was a lot of fun and I enjoyed being able to feel the rear of the bike step out!Ã¢â‚¬Â.